Wild cabbage is a leafy winter annual native to Europe. This form is the most likely ancestor of kale, and kale is believed to have been the first domestic form of cabbage. 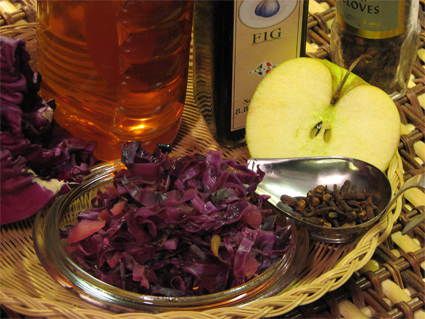 Early use of cabbage was medicinal, in the form of a treatment for stomach problems, headaches, and hangovers. Cabbage falls into two general categories: hard-heading and loose-heading. The hard-heading variety is grown in the fall, and, because of its tight head, stores better. The loose-heading variety is a Spring cabbage with leaves that are young, tender, and succulent. In these varieties are the red, green, and savoy cabbages. Savoy cabbage is the cabbage with wrinkled leaves. Raw, crisp cabbage is delicious, and plainly cooked or steamed cabbage should always retain the slightly crisp, nutty texture of the raw vegetable, so make sure you do not overcook. The only cabbage that actually benefits from long cooking and is the basis of many favorite European dishes is the red cabbage. Red cabbage, thinly sliced, is a great addition to any salad. Red and green cabbage are close in nutritional content. 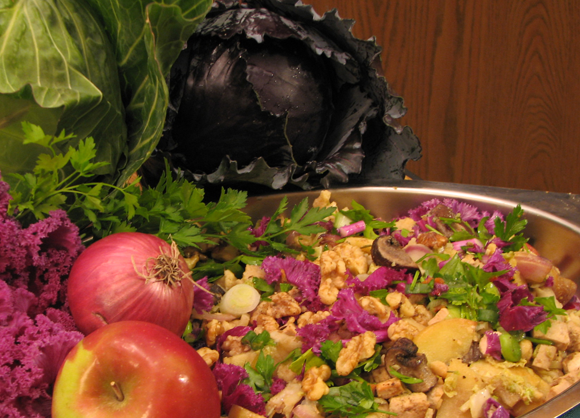 All cabbages are excellent digestive acids and intestinal cleansers. Store cabbage in a plastic bag in the refrigerator. The loose-head cabbage stores well for a week or two, while the hard-head type can store a month or more in the refrigerator. Combine all ingredients. Will keep well for several days if covered and stored in the refrigerator. It looks pretty garnished with orange wedges. 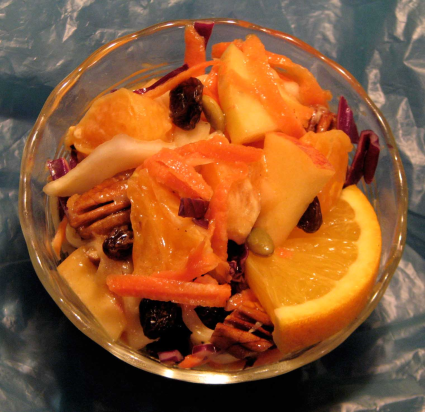 This is a wonderful fresh taste anytime, but especially good on a cold winter day with a hot satisfying stew or chili. Preheat oven to 375. Drain the tofu and cut into 1/2 inch cubes. Clean the mushrooms and cut into 1 inch wedges. Reserve a fourth of the onion for later and cut the rest into 2 inch wedges. Combine the tofu, mushrooms, and onions wedges with the garlic powder, tamari, paprika, and 2 Tbsp of the olive oil. This can be done in advance and refrigerated in a large zip-lock bag but it is not necessary. Place the mixture on a large baking sheet that has raised sides. Rub the unpeeled cloves of garlic with a little olive oil and place on the baking sheet. Roast the tofu and vegetables for 25 minutes. Squeeze the roasted garlic out of its skin and mash it. Combine the parsley, kale, and green onions with the Italian dressing and set aside for garnish. You can use any kind, but flat leaf parsley and purple kale make the best combination. The green onions are optional. In a large pot, bring 10 cups of water to a boil. Add either 2 Tbsp salt or the soup base powder to the water. In a large mixing bowl, whisk the milk, eggs and salt together until smooth. Add the flour and gently combine, but do not over-mix. Pour the dough into a large heat proof colander. Using a rubber scraper, push the dough through the holes in the colander, so that they drop down into the boiling water. When the water returns to a full boil, cook the spaetzle for one minute and then remove them and place in a clean colander to drain. Shred the cabbage and the reserved onion into very thin strands. Heat 2 Tbsp of olive oil in a large pan over medium high heat. Add the onions and cabbage and stir for a few minutes until the onions are translucent and the cabbage is starting to wilt, but still colorful. Add the apple and continue to gently stir until the apple heats through. Stir in the mashed roasted garlic. 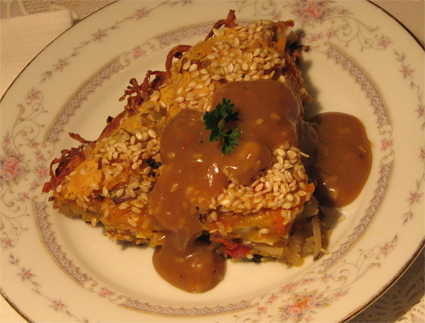 Gently combine the roasted tofu, spaetzel, and the sauteed cabbage in a large serving platter. Sprinkle the with the parsley-kale mixture and walnuts. If desired top it all off with cheese. steamed until leaves are limp, about 10 min. Preheat oven to 375 degrees. If you do not have rice already cooked, start by cooking the rice according to the package directions. You can steam the whole cabbage in a large pot or in the microwave. As the outer leaves start to become limp, remove them carefully. They will be hot. Making a "V"-shaped cut at the base of each leaf will allow it to lay more flat. If you want to add meat but do not have any cooked leftovers, sauté the meat in the oil in a medium sized pan over medium high heat until it losses all its pink color. Break the meat into smaller chunks as it is cooking. Add the onion, green pepper, salt, and pepper. Cook for two minutes. Add the garlic and cook one more minute. If you have cooked meat, add it at this time. Place 1/4 cup of water in the pan, cover and cook over low heat for 10 minutes. In a large bowl, combine the rice with the pesto, cheese, and parsley. For a vegan dish, omit the cheese and pesto but add 1 tsp of salt, 2 Tbsp finely chopped basil, 2 Tbsp finely chopped pine nuts, and 1 Tbsp olive oil. Add the onion mixture to the rice and mix well. Place about 1/4 cup of the filling in the middle of a cabbage leaf and roll up burrito-style. Pour a small amount of spaghetti sauce in the bottom of a baking dish. Place the cabbage rolls on top and spoon spaghetti sauce over them. If serving immediately, bake for 15 to 25 minutes. 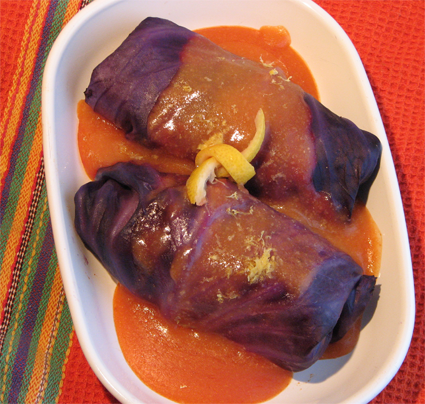 The traditional method of cooking cabbage rolls is long and slow, like lasagna. 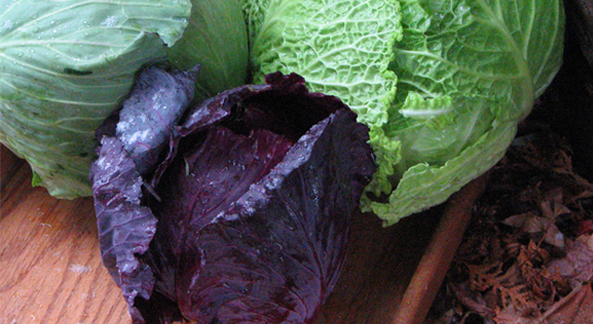 The cabbage, however, loses its color and texture. By cooking everything before rolling, the baking process is just to heat everything. If you want to make the dish ahead of time, cover and refrigerate or freeze at this time. You can place these in any size dish, depending on how many people you wish to serve. If frozen, allow to thaw in the refrigerator or overnight or in the microwave and then bake. Depending on the size of the dish, cook from 25 to 35 minutes in a conventional oven or toaster-oven. Simply reheating in the microwave works fine. Two rolls take about 2 minutes, depending upon your microwave. 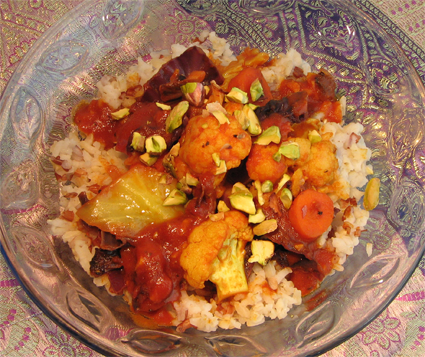 If you have a mixed crowd of meat eaters, vegetarians, and vegans, this is the perfect dish to make. Cook the onion, green pepper, and garlic without adding anything other than the salt, pepper and water. Mix the onions with the rice and divide into three bowls. Add the cooked meat to bowl "A." Divide the pesto and cheese into two and add to bowl "A" and "B." Add 2 Tbsp minced basil, 1 Tbsp parsley, 1/2 tsp salt, and 1 Tbsp finely chopped pine nuts to bowl "C." Proceed as above. Be sure to garnish each dish in a unique manner, such as cheese, pine nuts, or extra basil. Preheat oven to 375 degrees. If you do not have rice already cooked, start by cooking the rice according to the package directions. You can steam the whole cabbage in a large pot or in the microwave. As the outer leaves start to become limp, remove them carefully. They will be hot. Making a "V:-shaped cut at the base of each leaf will allow it to lay more flat. If you want to add meat, but do not have any cooked leftovers, saute the meat in the 2 Tbsp. oil in a medium sized pan over medium high heat until it losses all its pink color. Break up the meat into smaller chunks as it is cooking. Add the onion, salt and pepper. Cook for two minutes. Add the garlic and cook one more minute. If you have cooked meat, add it at this time. Place 1/2 cup of water in the pan, cover and cook over medium low heat for 10 minutes. 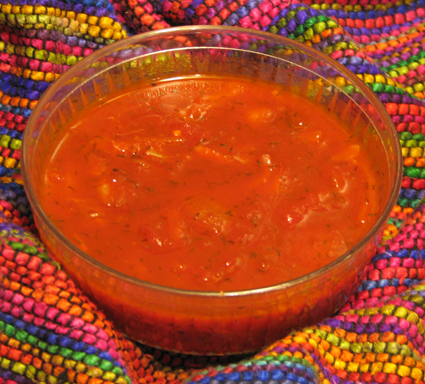 In a large bowl, combine the onion mixture, oregano, cooked rice, olives, feta cheese, and 1 Tbsp of the tomato paste. Place about 1/4 cup of the filling in the middle of a cabbage leaf and roll up burrito style. In a medium sauce pan, whisk 1/4 cup flour, 1 Tbsp honey, 1 Tbsp olive oil, the lemon juice, and the rest of the tomato paste into the 2 cups of vegetable stock. Heat over medium heat stirring until the mixture comes to a boil. Pour a small amount of sauce in the bottom of a baking dish. 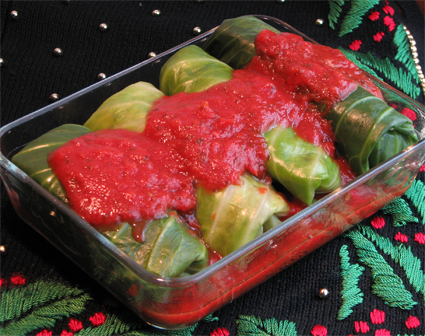 Place the cabbage rolls on top and spoon sauce over them. Cover and bake for 15 to 25 minutes. Garnish with lemon zest. Cook the cabbage, cauliflower, and carrots with 3/4 cup of water in a large covered fry pan over medium heat. Drain the vegetables and set aside. Heat the oil, garlic, and spices, stirring to combine. Add the tomato paste, water and vegetables. Cover and cook for 5 minutes. Very good served over brown rice, topped with chopped pistachios. If you want this for an entree for carnivores, just add some cooked chicken during the last 2 minutes of cooking. This can be made by skipping the first step of steaming the vegetables and then increasing the final cooking time to 10 minutes. The vegetables retain their individual flavor and color, however, a bit more with the extra step. For diabetics who wish to avoid sugars, just omit the maple syrup and honey. Cut the cabbage into very fine shreds. Place all ingredients in a covered pot and simmer on medium low. The traditional way to cook this was for about an hour. Today most people don't mind their vegetables with a bit more color and texture. After 15 minutes, taste the cabbage. Add water if it is getting dry. Adjust the vinegar and honey to match your taste for tangy and sweet. After 20 minutes, everything is tender but not too mushy. The flavors will vary with the type of vinegar and honey you use. Pear Balsamic vinegar and orange blossom honey are a nice choice. The whole cloves can be difficult to find and remove at the end of cooking, but if using powdered cloves remember they are very strong. You can make this in the microwave. It will take about 10 minutes in a covered pan. In a slow cooker it will take about 3 to 4 hours on low and 2 to 3 hours on high, depending on how soft you want the cabbage to be. This can be made ahead and will keep in the refrigerator for several days or for months in the freezer with no loss of quality if properly wrapped. 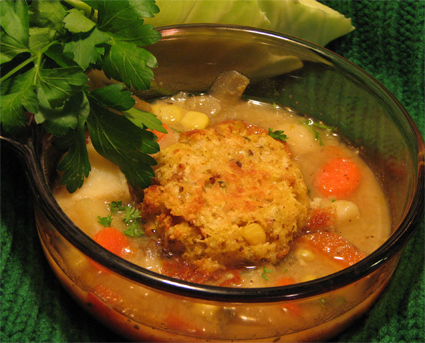 A tablespoon or two of leftovers can add sparkle to any vegetable soup. It is delicious hot or cold. Preheat oven to 400. Mix the shredded potatoes with the lemon juice, tamari, and 1/2 tsp salt. Place in a colander over a bowl to catch the liquid. Place a small plate over the potatoes and weight it down to press out the juices for about 15 minutes. Meanwhile, shred and chop the other vegetables. Place these vegetables in a large microwave safe bowl and combine with the seasonings. Cover with a large plate. Squeeze as much water as you can out of the potatoes and place them in a glass pie pan which has been sprayed with nonstick cooking spray. Place the potatoes on top of the bowl of vegetables and cook in the microwave on high for 10 minutes. Remove the pan and bowl carefully using pot holders. With a spoon, press down the center of the potatoes to form a pie shell. Place pie pan in the 400 degree oven to bake for 20 minutes. Drain any liquid under the vegetables and when cooled, add it to the liquid that was drained from the potatoes. In a food processor or blender, combine the milk with the eggs, tamari, sesame oil, seasonings, honey, and the Tabasco sauce until smooth. Stir together the vegetable mixture, 1/3 cup of cheese, and the milk mixture. 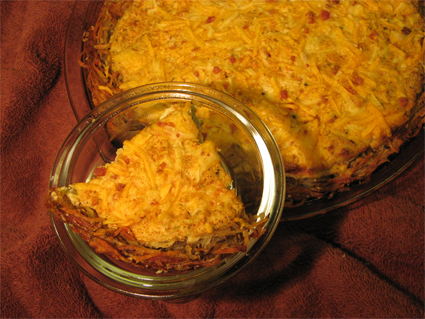 When the potato crust has begun to brown, remove it from the oven and place 1/3 cup of cheese on potatoes. Press down gently to form an even layer.Pile the vegetables into the potato crust. Return the pan to the oven and bake 25 minutes. Remove the pan from the oven and add the last 1/3 cup of cheese. Bake 10 minutes more, or until the cheese is lightly browned. Heat the saved liquid plus 1/3 cup water, while stirring in a small sauce pan until thickened. Adjust salt and pepper to taste and serve over wedges of the pie. Another option is to cook 1/3 cup of chopped onion and 1 cup of sliced mushrooms in 1 Tbsp. oil over medium high heat until tender, about 3 minutes. Then add the reserved liquid and 1/3 cup water. Heat while stirring until thickened. If the mushroom gravy is too thick, add water, a small amount at a time while stirring. Preheat oven to 400 degrees. Mix the shredded potatoes with the lemon juice, tamari, and 1/2 tsp grill seasoning. Place in a colander over a bowl to catch the liquid. Put a small plate over the potatoes and weight it down to press out the juices. 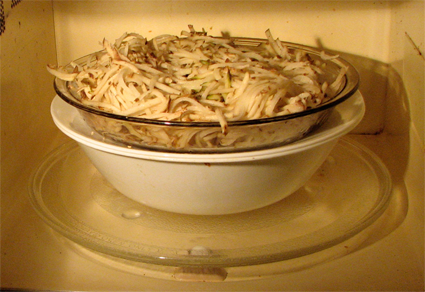 Place the vegetables in a large microwave safe bowl and combine with the seasonings. Cover with a large plate. Squeeze as much water as you can get out of the potatoes and place them in a glass pie pan which has been sprayed with non stick cooking spray. Place the potatoes on top of the bowl of vegetables and cook in the microwave on high for 10 minutes. Press down on the center of the potatoes to flatten them slightly and place pan in the oven to bake of 20 minutes. Drain any liquid from the vegetables and place it in the liquid that was drained from the potatoes. In a food processor or blender, combine the soy milk with the eggs replacer, carrots, tamari, sesame oil, seasonings, maple syrup, and the Tabasco sauce until smooth. Stir together the vegetables and the soy milk mixture. In a pan over medium heat, toast 1/2 up of sesame seeds until light brown. 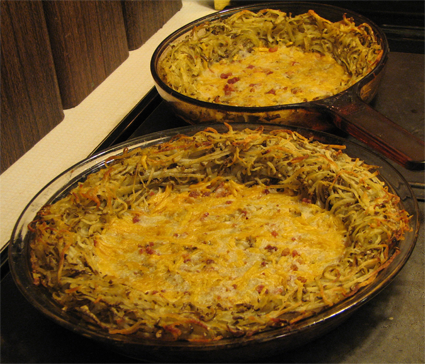 When the potato crust has begun to brown, remove it from the oven and sprinkle it with some of the sesame seeds. Press down gently to form an thin even layer. Pile the vegetables into the potato crust. Sprinkle the top with the remaining sesame seeds. Return the pan to the oven and bake 30 minutes. Over medium heat, stir the reserved liquid, in a small sauce pan until thickened. Adjust salt and pepper to taste and serve the sauce over wedges of the pie. Sauté the onions with the olive oil, in a large heavy soup pot, over medium high heat for two minutes. Add the cabbage and beets. Cook for three minutes. Add the rest of the ingredients. Once the soup has come to a boil, turn down the heat. Cover and simmer for one hour, stirring occasionally. The texture of the cabbage will be tender-crisp. For a softer consistancy, add one cup of water and continue to cook another hour on low. You can used leftover cooked beets or leave them out completely. Though subtle in flavor, they give the soup its extra-rosy color. You can use any combination of green, red, or Chinese cabbage. This makes six generous servings. Sauté onions and garlic in a pan over medium high heat for two minutes. Add the cabbage and cook for three minutes. Place the onions and cabbage in a slow cooker. Add the potatoes and carrots. Whisk the flour with the soymilk in the pan used to saute the onions. Whisk in three cups of water and heat over high until the mixture comes to a simmer, stirring constantly. Pour the thickened milk into the slow cooker and add the seasonings. Add seven more cups of water. Cook for four hours on high or eight hours on low. A hour before serving, stir in the corn. The soup can be made on top of the stove in a large heavy soup pot. Simmer the mixture over medium low heat for about two hours, gently stirring occasionally. Add the corn during the last 15 minutes.